Dentistry is one of the most common tasks performed by equine vets, and they are more knowledgeable and better equipped for it than ever before. To help support its members with the provision of good primary equine dental care BEVA has introduced some new online dental resources, with specific sections for vets and for horse owners. Dental problems in horses tend to be hidden, often causing the horse to suffer in silence and for owners to remain unaware of any problems. The horse owner section of the new online resource explains why routine dental care is so important and helps your clients to navigate the numerous dental care options on offer to make sure their horse never has to suffer in silence. The vet section of the new online resource is specifically aimed at primary practice equine vets who are performing dentals for clients as a part of a routine care programme. Information includes “how to perform a thorough oral examination” (print version and webinar) and a brand new BEVA digital dental chart which can be incorporated in a number of PDF editing programmes on tablets to allow personalised digital charting. There are also guidelines for charting (print out, laminate and carry with your dental kit! ), a list of BEVA equine vets with postgraduate qualifications in equine dentistry and advice on referring equine dental cases. The new veterinary resources are supported by an array of veterinary CPD, practical courses, workshops and webinars, all of which are free to BEVA members. Neil Townsend MSc BVSc Cert ES (Soft Tissue) DipECVS DipEVDC (Equine) MRCVS RCVS Specialist in Equine Surgery European Specialist in Equine Dentistry, who helped to produce the resources said: In a similar fashion to human dentistry, the emphasis of routine equine dentistry should be on the examination rather than the rasping procedure and this a key message to convey to your clients. 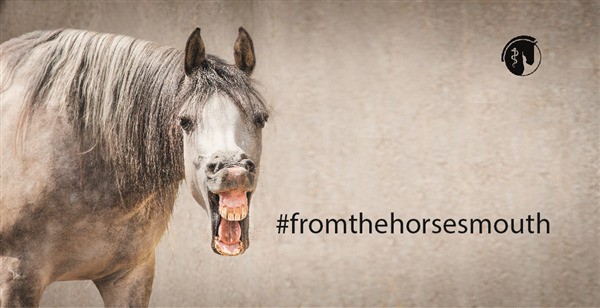 Visit BEVA’s new Dentistry resources for vets here and remember to follow our #fromthehorsesmouth campaign on social media too.